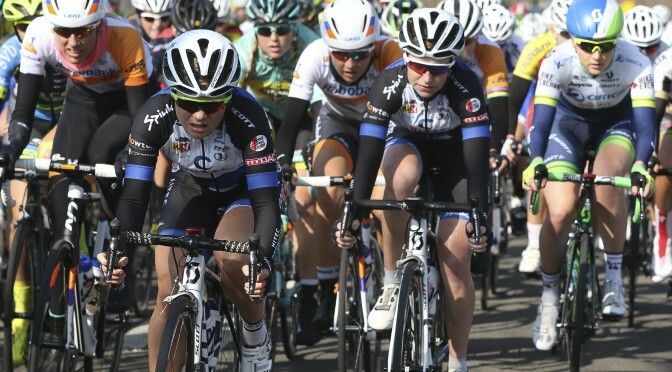 This Sunday Team Hitec Products lined up for Gent-Wevelgem (WWT) with goal of another top ten result. The race of 114km included two times the cobbled climbs Kemmelberg & Monteberg and once the Baneberg. Although the weather was nice, the winds were strong and already early in the race the peloton split in two because of it. 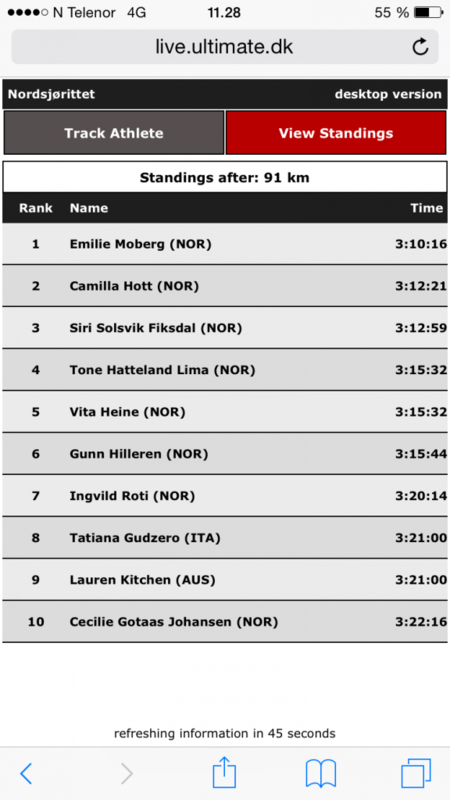 Another top ten for Lauren in the Women’s Worldtour ! It was a weekend of ups and downs. 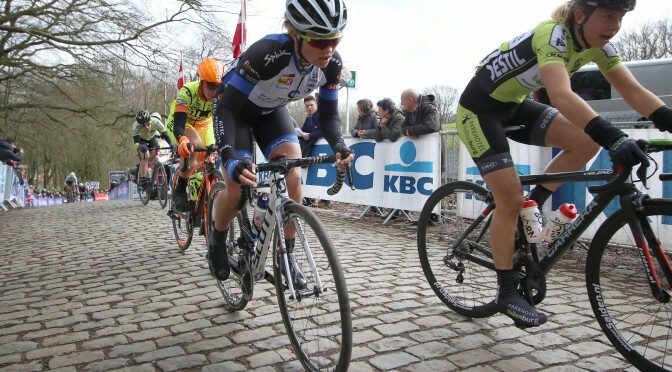 Bike trouble for Emilie in the show criterium on Friday as well as in the final of stage 1. Crash for Vita Heine, and a complete off-day for Miriam and Thea on the first day, so we had to start stage 2 with only 4 riders . Luckily it ended in a positive way, with Emilie Moberg sprinting to third place in contest with the worlds no 1, 2 and 9 on the UCI ranking. And Tatiana ended 8 and Charlotte 10th in the GC. Our goal for the race was a podium on a stage and a top 10 in the GC so we met and exceeded our expectations. On the last day, the small team responded well, with Vita getting bottles in the car with a broken rib, Charlotte working like a slave in all the breaks, Our road captain Tatiana leading out Emilie and Emilie taking the “border sprint” and her 5th UCI-podium this summer. 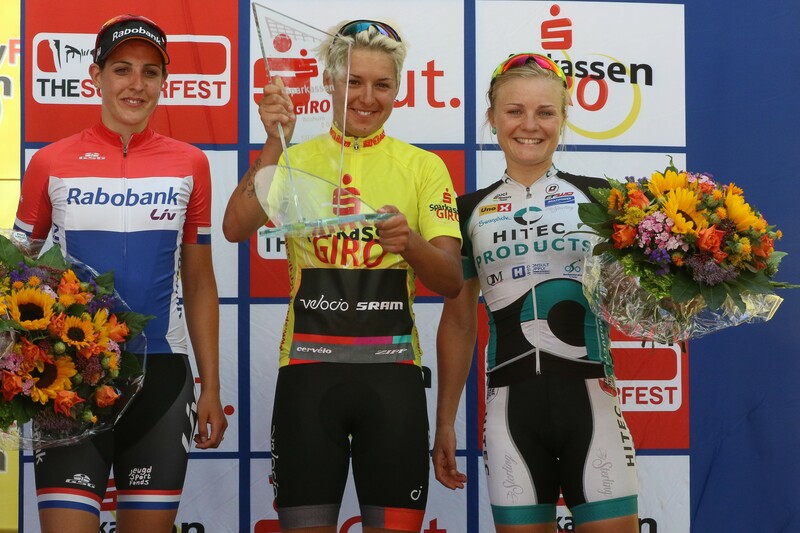 Megan Guarnier (Boels Dolmans) won overall. A big result for Emilie with her first UCI World Cup podium, when she was 3d in the sprint behind Guarischi (Velocio) and Brand (Rabo). The race was not too eventful, and as predicted came down to a bunch sprint. 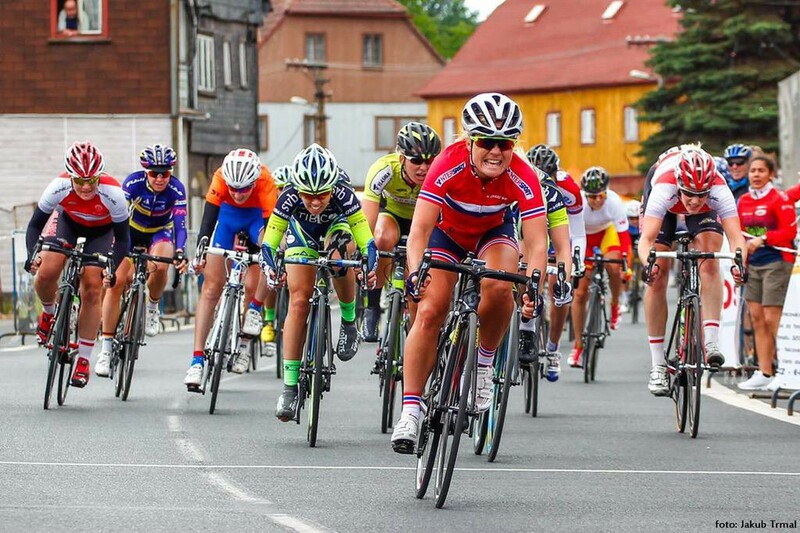 Emilie, Ingrid and Janicke raced with the Norway national team in Czech Republic this weekend. And Emilie had 2 nice stage wins from bunch sprints, in stages 2 and 4. 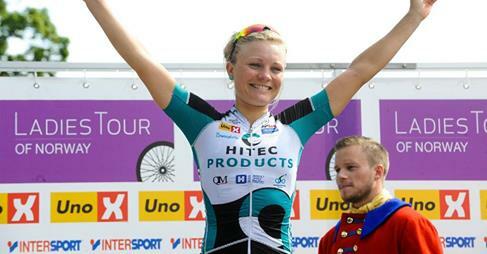 This was her first UCI-wins since 2012, so they must have been very welcome. Ingrid ended on a decent 16th pace in the GC after 2 13th places on the hard mountain stages. Janicke did a nice job as a domestic. 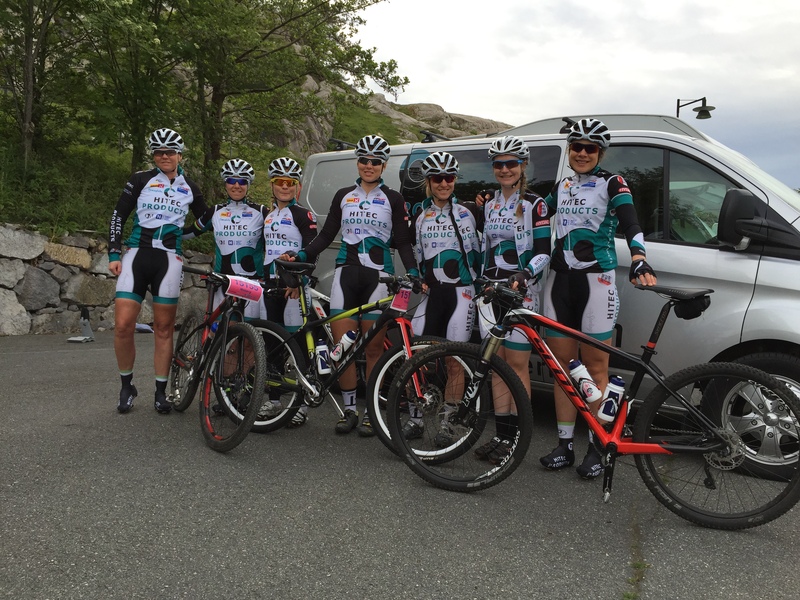 Time to find the MTBs again, and 7 girls to start in the local marathon race outside Stavanger. For the 6th time in a row we won the elite women class, but for the first time we didnt have the fastest women of the day. Young junior Susanne Andersen from Stavanger won the 2-up finish line sprint vs Emilie, on a day the rest of the team didnt have the best form. Emilie won the elite class and both the intermediate sprints, while Tone was 4th and Vita 5th.